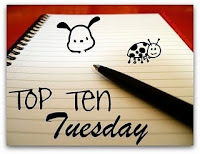 Top Ten Tuesday is hosted by The Broke and the Bookish y’all, and it is their blogoversary! Head on over and check out their interviews and giveaways. 1. Goodreads. This one actually predates blogging, so it falls more under the category of being an overall book nerd. 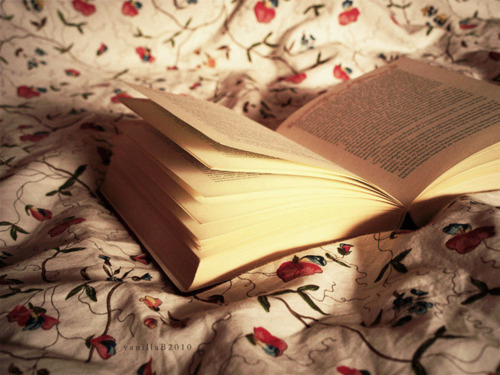 You can swap books, win books, read book reviews…and most importantly (to me): talk books. I met a lot of my good blogging friends way before it occurred to me to start one. I was basically addicted to the site – constantly talking about all different kinds of books with people from all over the world. 2. The Awesome People. Whether it is via blog comments, twitter or gchat, there are always people around to either obsess over awesome books with or to get blog advice from. I don’t have a lot of IRL friends that read, so having book friends online is pretty freakin’ awesome…especially when they’re willing to have virtual Harry Potter duels. 3. Authors. Y’all, authors are my rock stars. I would rather meet them than just about any other type of celebrity. Being able to talk to them daily on twitter, or have them do guest posts and interviews on the blog…priceless. 4. Book Perks. Now, while I 100% view getting ARCs as a privilege and not a blogger’s God-given-right, it is nice to work hard and be proud of your blog and be able to open up relationships with publishers and have an early look at titles. Especially if there is a certain book you’re dying to get and you have the ability to email the publisher and desperately beg for it. 5. Reading. So, basically having a blog means you have a legit excuse to give people when they notice that you constantly have your nose plastered to a book (or your ereading device of choice). “Yeah, I do read a lot. I actually review books online for a website.” < —- sounds super professional…and isn’t even a lie, just a conveniently phrased sentence. 7. Book Pushing. I’m a huge book bully y’all, and having a blog gives me a platform to share my thoughts about books I loved and ones I didn’t like so much. I write what I think, and sometimes people actually listen to me and read a book because I told them to! Same goes with the blogs I read: sometimes I get a chance to pick up books I never would have otherwise on someone else’s recommendation. 8. Defending Our Own. Whether we’re celebrating banned book week or in an outrage over a specific instance of censorship, the blogging community is pretty spectacular at coming together and giving people hell when they try to refute the basic right everyone has to read whatever they please. Awesome post… I especially love your 8th point. That's definitely an amazing thing, the way everyone can come together and rally against something like that. OMGWTFBBQ THAT IS THE SOUNDTRACK TO MY LIFE! #3!!!! I had authors talk back to me on twitter and I literally was speechless it was the coolest thing that has ever happened to me! Love the quote from Anne of Green Gables- I love that book! Great post! I love the quotes! 😀 You promote those books, girl!! Love your Anne of Green Gables quote. Adding it to my list of favorite quotes. Thank you. And thank you for a lovely post. Here's my list of Ten Reasons I Love Being a Book Blogger. 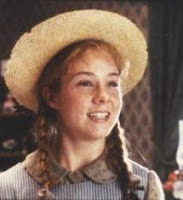 ANNE OF GREEN GABLES, YOU PUSHED THAT ON ME! AND AND THE NEVERENDING STORY! Ah, I LOVE those books. Also, I remember those awesome goodreads days and being too intimidated to ask you to be my goodreads friend cuz I remember you and Fiona were so cool and I was like, well I'm not that cool but omg they are talking about all of these awesome books and I want to be their friend SO SO bad. AND THEN YOU BOTH ACCEPTED. It makes me sound busy and important when I say, oh a publisher sent me a book for review… plus, I can ah.. pretend I didn't spend money to my parents when another package comes through the door! Also – you quotes Anne!!! We are Kindred forever lol! I love that video! Makes me laugh every time 🙂 Love the book blogging community. I SO agree!! GRs was the best discovery ever!! My younger brother really likes the videos uploaded by the guy who sings that song & he showed it to me just after he'd posted it and told me that it WAS me. 😛 LOVE that there are so many people in the blogging community that don't need any explanation. They just GET it! !